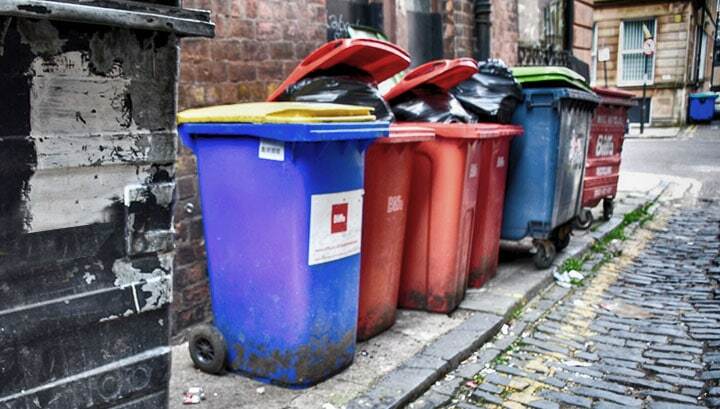 The Resource Efficient Scotland (RES) programme will be running two workshops on Wednesday 7th March and Wednesday 14th March 2018 to assist businesses in meeting the new requirements of Glasgow City Council’s City Centre Commercial Waste Project. 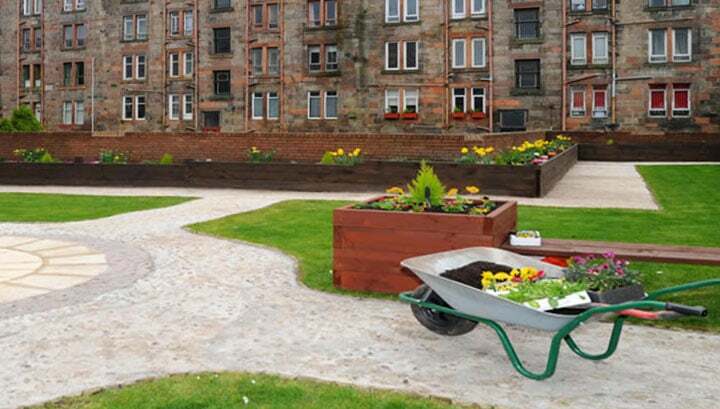 Local groups and organisations across Glasgow are invited to submit proposals for temporary activation of any stalled or underused spaces in the city. 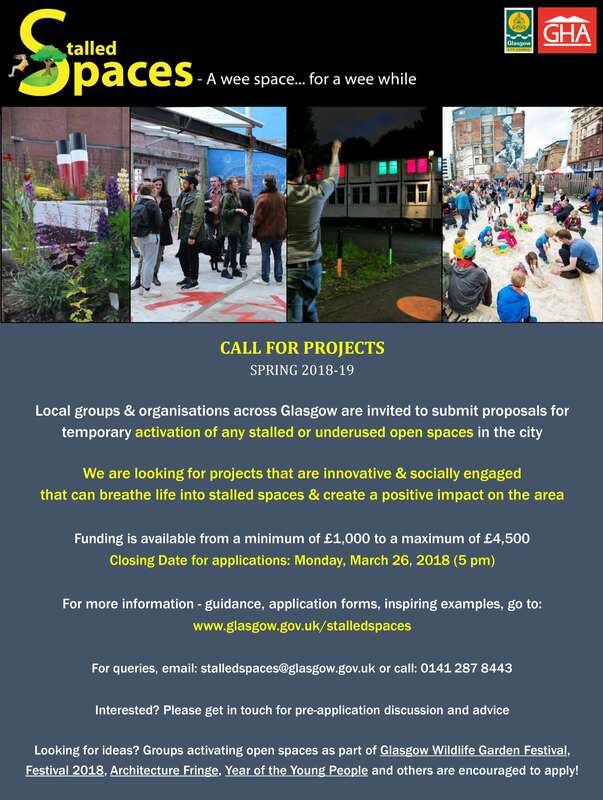 We are looking for projects that are innovative and socially engaged and ideas that can breathe life into stalled spaces and create a positive impact on an area. 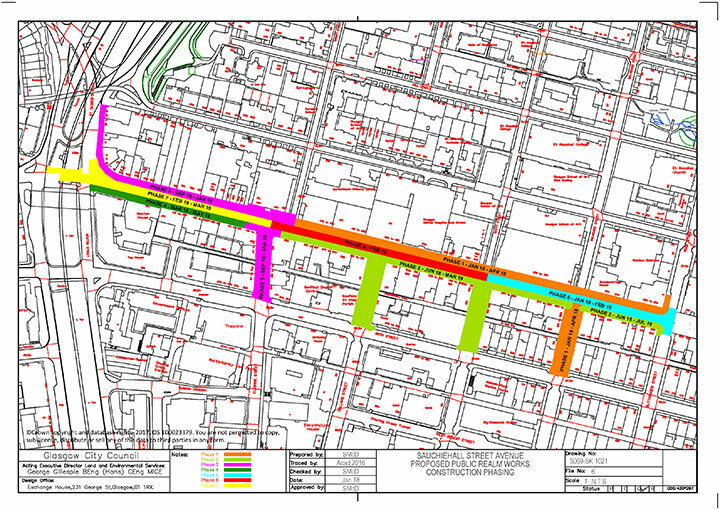 Funding is available from a minimum of £1,000 to a maximum of £4,500. The closing date for applications in Monday 26 March 2018 at 17:00 hours. If you are interest please get in touch for advice and a pre-application discussion. 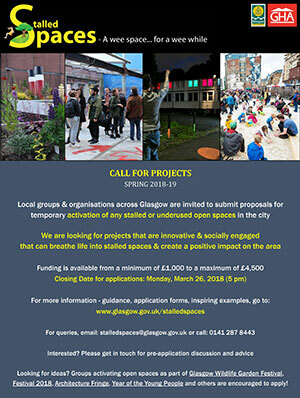 If you are looking for ideas, there are groups activating open spaces as part of Glasgow Wildlife Garden Festival, Festival 2018, Architecture Fringe, Year of the Young People – others are encouraged to apply. Download the flyer: click the image below then right click to save the larger image. 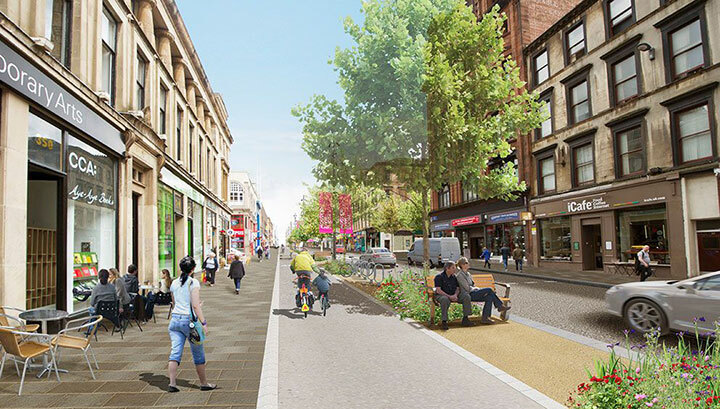 As part of the Glasgow City Region City Deal funding, Glasgow City Council is investing approximately £115 million within the city centre to deliver on the Enabling Infrastructure- Integrated Public Realm (EIIPR) programme, more commonly known as the Avenues.